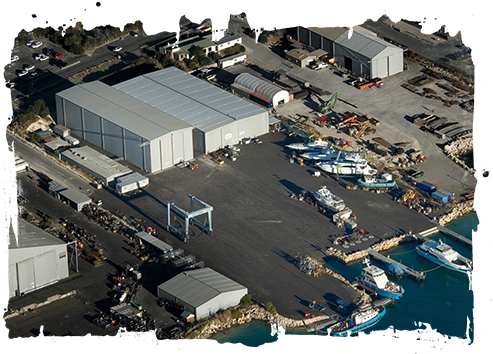 We are conveniently located in the Henderson Boat Lifters compound and we have access to two Tammy Lifts to transport vessels up to 150 tonne directly into our workshop. We can also conduct work on vessels stored in the yard or wet berthed. Our customers can access the many services and trades that are available within the compound. Other trade services in the compound include: Exclusive Coatings, Painters Click here to go to their website.